So as scary as it may have been to start a new design office, when I established HiWorks in 2013 I at least had someone I could look to for inspiration - my Dad. As a small business owner himself, he taught me the importance of hard work, patience and putting the customer first. Although the heating and air conditioning business is somewhat different than architecture, there are certain core values that are important to both endeavors. 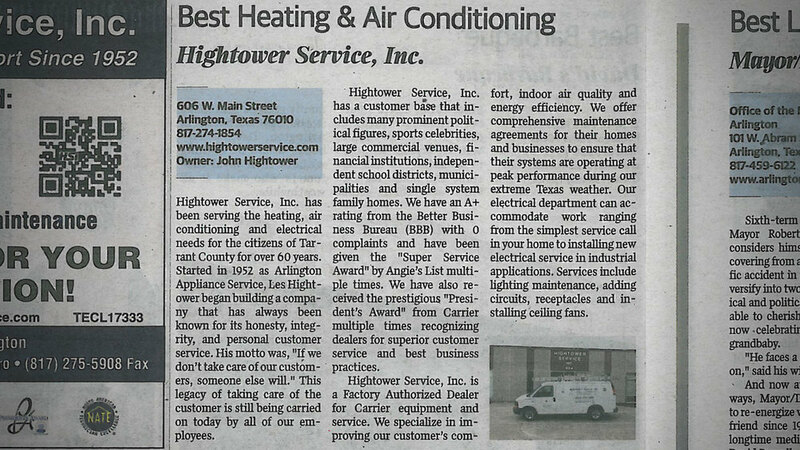 At any rate, I was proud to learn that my Dad's company - Hightower Service Inc. - was recognized in the Arlington Citizen-Journal as the "Best of the Best" for heating and air conditioning services for 2013.